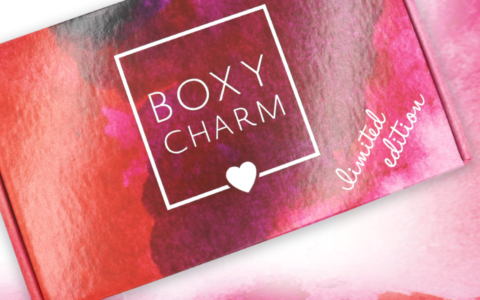 Darby Smart To DIY For Box is a monthly craft subscription box for teens and adults. I have been an on-and-off subscriber for the past year or so, and I really love Darby Smart’s project selections! COUPON: Get one month free with a 6-month subscription – no coupon needed! Use code HOWDYDARBY to get $10 off your first box! The Products: Each box will include all the craft supplies you need to complete a new DIY project. Check out all of our Darby Smart reviews and the Craft Subscription Box Directory! OK, this is just hilarious. If you’ve seen any of my reviews in the past month, you will notice that I keep saying, “I’m trying to give up sugar,” any time I get a yummy treat in a subscription. I think I’ve received more sugary snacks in the past month than ever before! Then I got a beautiful sugar bowl from Bulgaria in another box. And now my Darby Smart project this month is making a sugar scrub! Ha! At least no one expects me to eat it this time. The back of the info card talks about the benefits of using this sugar scrub. FYI, Darby Smart does not include instructions in their boxes. Instead, they provide a code you can use on their website to look up the instructions. Just a note in case you have a preference, but I guess you could always print out the instructions. These are the materials that were included for the project. Usually, the things you have to supply yourself are things most people definitely have. I didn’t need to supply anything additional from home this time except the microwave and refrigerator. These are my little sugar scrubs! They turned out adorable! Here they are in the little storage jar that was provided. This is pretty enough to give to someone as a gift! I tried one of the scrubs on Saturday night, and it left my skin feeling smooth, soft, and hydrated. You can’t ask for more than that from a scrub! Verdict: Darby Smart is one of my favorite subscription boxes! This month’s project was the first time I think they’ve ever sent a beauty DIY, but it turned out great! I also appreciated that they sent all natural ingredients. I made something beautiful and functional in about 40 minutes. That’s awesome! What do you think of Darby Smart? I received my newest box and the glass bowl was shattered. They have yet to respond to me. I’m no longer impressed with their boxes. They have gone downhill. I pay $19 for shattered glass?? Cancelling my subscription. This has been one of my favorite boxes from Darby Smart! My sugar also had leaked throughout the box and they replaced it along with the extra blue mica very quickly. Their customer service is excellent every I’ve had any kind of issue. What a fun project and now I’m catching my 10 year old daughter stealing my little scrubs! so cute! I actually have all the ingredients, so I may make some myself just because – though I don’t have the molds.